80ml Dilmah Natural Rosehip and Hibiscus tea , cooled down. Method: Shake the Bols Genever, Bols Raspberry and Dilmah Natural Rosehip & Hibiscus Tea and strain into a small bottle. 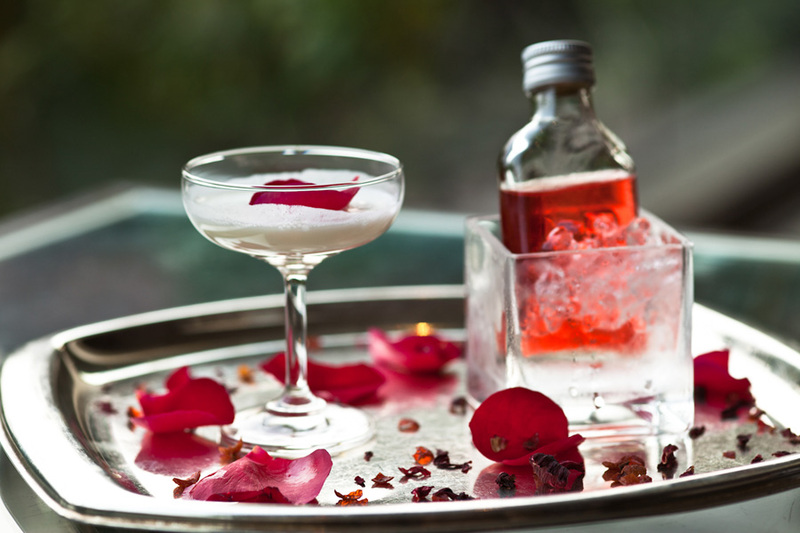 Dry shake the Bols Natural Yoghurt, Bols Cacao White, lime juice and the egg white and strain into a pre chilled coupe and garnish with rose petals.